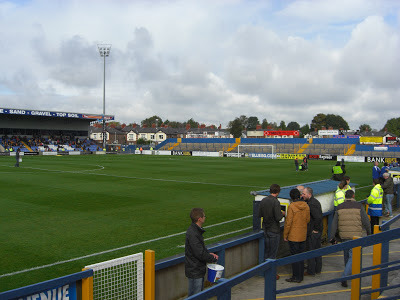 My nineteenth stadium of 2012 was on Saturday 13th October 2012 at Moss Rose in Macclesfield, Cheshire. 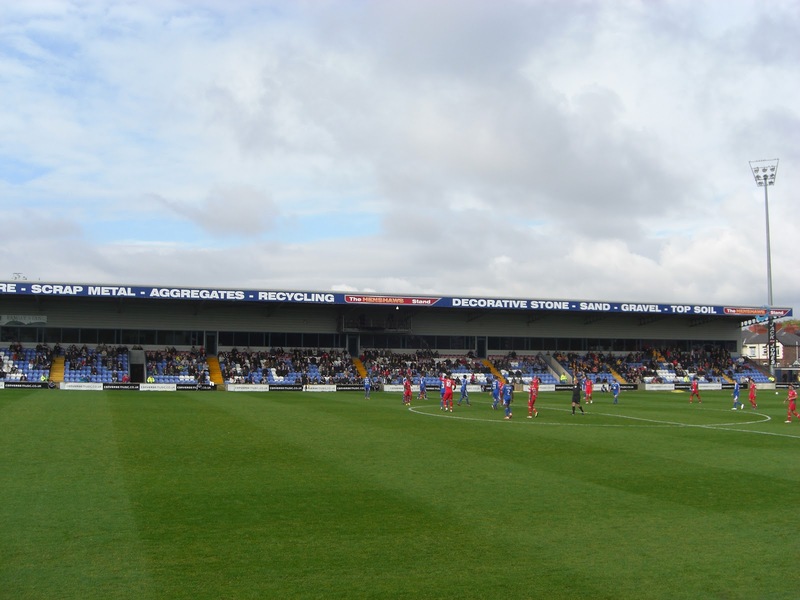 The match was Macclesfield Town vs. Newport County in Conference National. Moss Rose on the southern outskirts of the town at the end of a built up residential area. 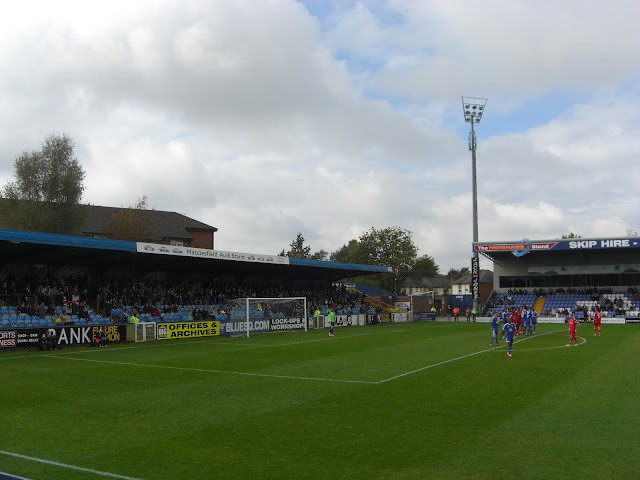 The ground is 1.2 miles from Macclesfield railway station and has been the club's home since 1891. The Main Stand sits level with the half-way line, taking up around one-third of the London Road side of the ground on the eastern part of the venue. It is positioned atop concrete terracing and requires a walk up some stairs to reach the 563 seats contained in the structure which was build in the late 1960s. 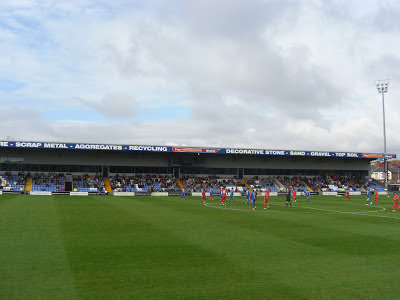 The area in front of the stand as well as the areas to the left and right are taken up with mostly uncovered concrete terracing which can hold another 1,371 supporters. Also located on this side of Moss Rose are a home ticket office and the directors and officials entrance to the hospitality area. There is additional uncovered concrete terracing behind the northern goal in the John Askey Terrace where there is room for 1,530 fans. It is primarily used for large away following although for this game it was closed. 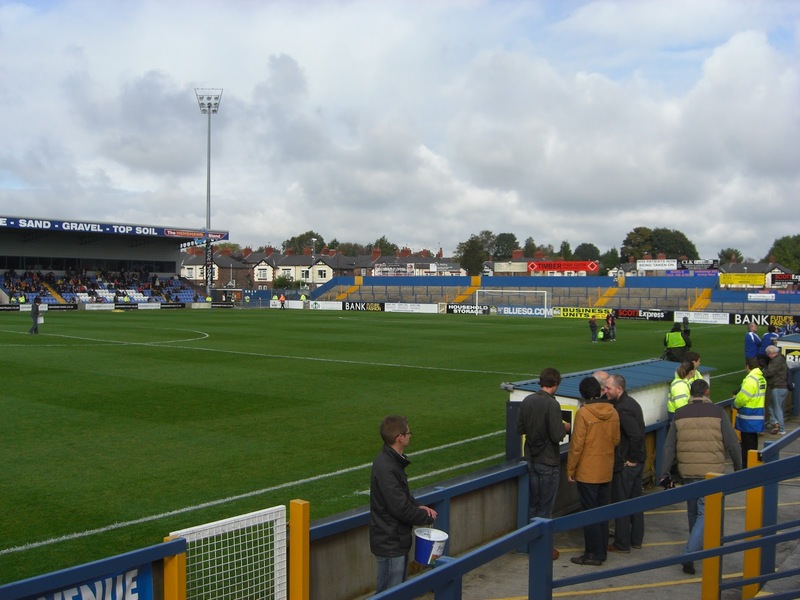 Externally the north-east corner has an away ticket office and the Silkmen Cafe. Behind the southern goal at the Star Lane End was originally concrete terracing as well but in order to satisfy Football League requirements the front half of the stand was converted to provide 486 seats. The back half of the stand remains terracing which adds another 835 to the capacity at that end of the ground. The most modern stand is the Joe Henshaw Stand which runs the length of the western side of the pitch. This all-seater structure was finished in 2001 and contains the reception, ticket collection area and a very small club shop. The stand can hold 1,550 supporters with away fans often allocated the northern end of this stand. The game saw a tight first half with little in the way of goalmouth action. 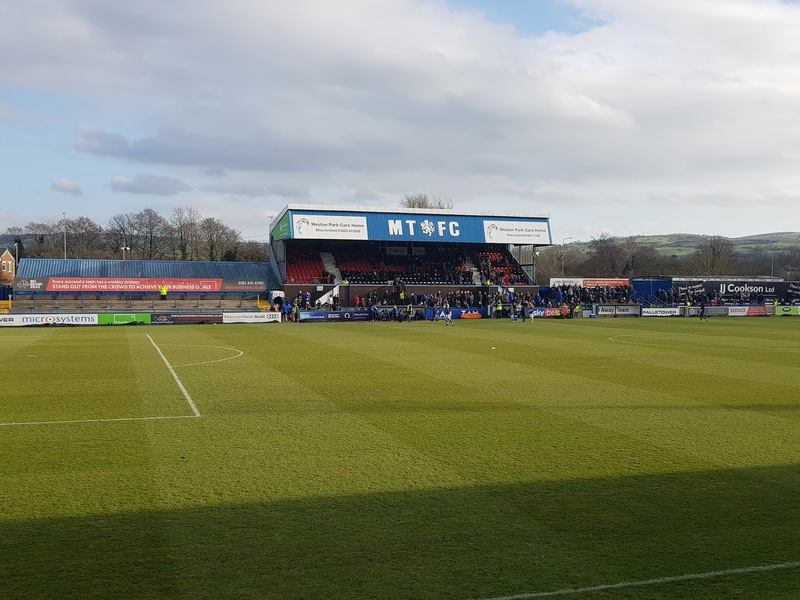 The two teams were fairly evenly matched initially though Macclesfield carved out more chances as the half went on. However, their finishing didn't really test the Newport goalkeeper and the score remained goalless. As the hosts were having one of their more promising spells the first goal of the match came and it was the visitors who claimed it. In the 43rd minute a free-kick was whipped into the box with the ball ending up at the far post. A Newport attacker shot at Lance Cronin in the Macclesfield goal and his parry found itself at the feet of Tony James who knocked in the rebound to put Newport 1-0 up. In injury time the visitors really should have doubled their lead when Aaron O'Connor missed a golden opportunity from a few yards out. The second period was one-way traffic in favour of the home side as they plugged away desperately attempting to get the ball in the back of the net. 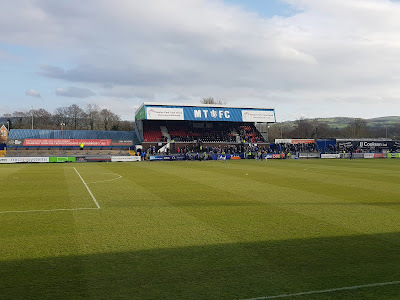 Last ditch defending and some wayward finishing frustrated Macclesfield as they dominated the play though they occasionally left themselves open to counter-attacks from their opponents when pushing so many men forward. Finally in the 81st minute Newport succumbed when Matthew Barnes-Homer headed home from close range. This secured a point for Macclesfield against the league leaders but they will be wondering how they weren't able to take all three points.